Finding the right chemical products to compliment your hair texture can sometimes be confusing; often we just let our stylist decide on what is best for our hair. Here are some pointers on what type of hair product goes with what type of hair. For FINE HAIR, create more volume by using hair spray, gels and mousses. Avoid shiners such as silicones as they tend to weigh fine hair down and can look greasy. For CURLY HAIR, make it bouncier with liquid stylers, light gels or pomades. It is best to avoid mousses and thick gels. 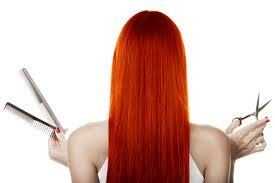 For STRAIGHT HAIR, add extra sleekness with mousses and gels, and do not forget to add a little shine. You can also highlight it with hair color to accentuate your personality. And if you’re scouting for hair color products, Joico has broad selection of hair colors to compliment every hair type. You can check out their site for more information. hi ate! musta? asa na to imong picture nga imo gi promise sa ako? katong naka make up ka? nyehehehe! gitiman an baya to nako ate... hihihihi! @ Kayce ahahahahha, giti-man-an jud diay .... LOL... sge lang ko ug sige.. di man ko ganahan ipost akong nawong oi... waaaaaaaaaaaa..